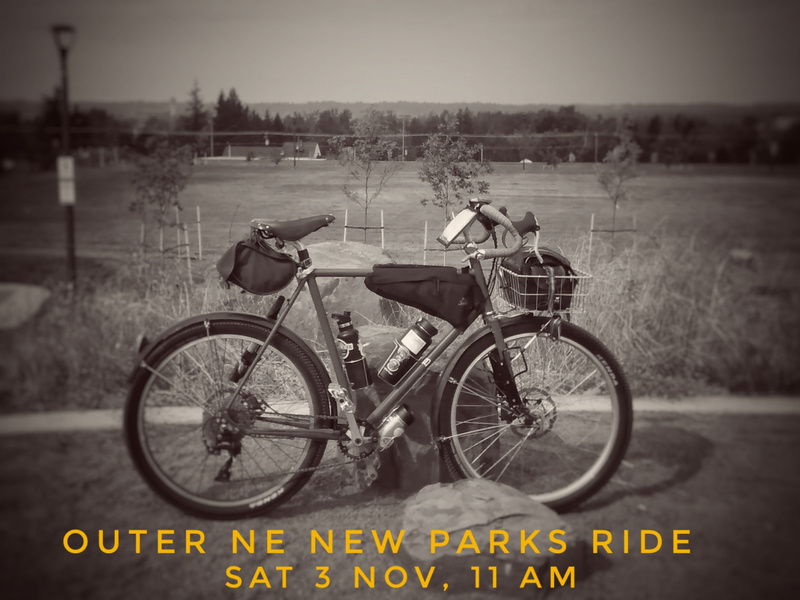 Over the past five years or so, the outer reaches of NE Portland has seen a bunch of new parks open! Most of these parks have some pretty cool features suited to the needs of the Twenty-First Century Portlander, like accessible play areas, skate parks, water features, picnic areas, and (oh yeah) bathrooms. On top of that, this area has a bunch of not-well-known (well, not well known to those not living there) parks, greenspaces, and pseudo-parks. Miss Zumstein Bakery, 5027 NE 42nd Av. Enjoy some coffee and vittles, at 11:30 AM we depart on a 15-ish mile ramble! This ride is NOT a loop, and will end up somewhere most likely inconvenient to 95% of the riders, so keep that in mind. (It’s okay to bail along the way.) We will end up at a place with food and beverage, and transit will be within a few miles of us. This ride won’t be a quick one, as we’ll stop at parks to enjoy their features. There will be some unpaved action, too. Come prepared to have some fun!